Sharing parts of the new manuscript was exhilarating but exhausting. I have fine tuned some chapters and received confirmation that I’m heading in the right direction. Because I was doing what a friend calls “drive-by conferences,” I barely left the hotels in the 24-36 hours that passed between my arrival and departure. I’m beat. Really, I am. Did I mention that I still have 3 more to go? 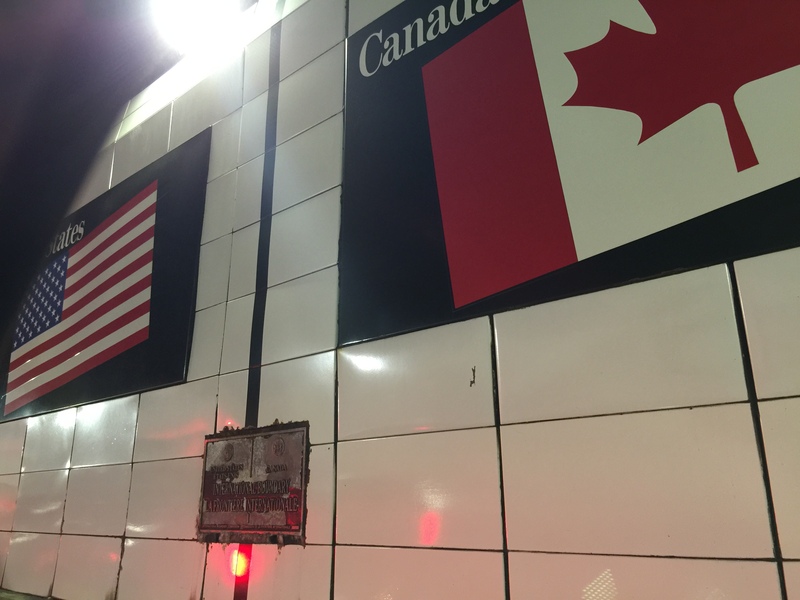 The Border between the U.S. and Canada in the tunnel underneath the Detroit River. 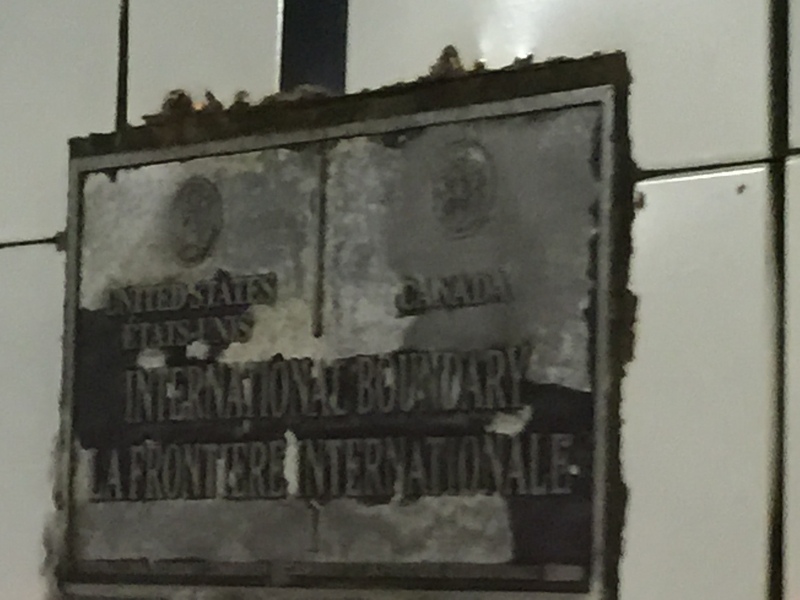 Danielle McGuire and I were returning from the ASA, which was in Toronto. Then, I’m done. I’ve been dodging panel requests like I dodge meetings and shady people. I’m thankful for Program Committees that enforce the participation rules (thanks, SHA!!!). If I can make it through the February CFP deadlines, I’ll be able to rest and write for about a year. 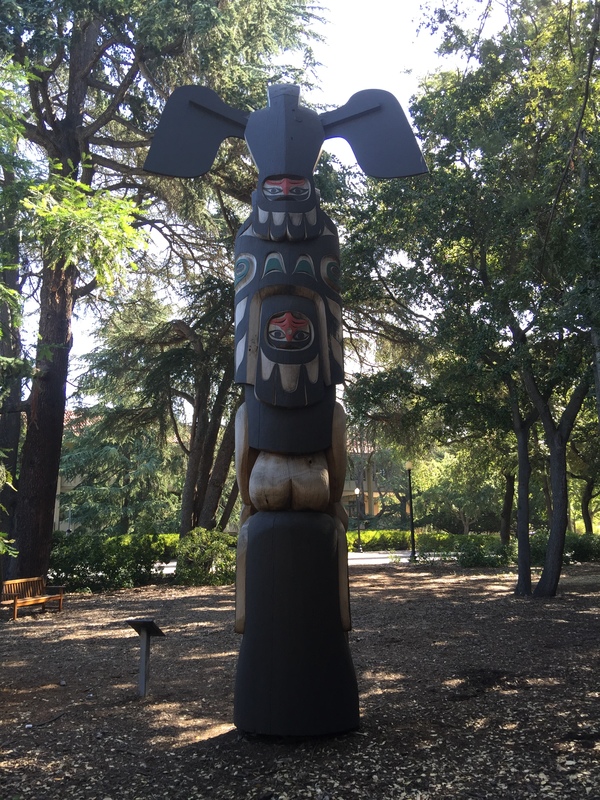 Art Thompson’s “Boo-Qwilla” a Nuu-chah-nulth totem pole on Stanford’s campus. 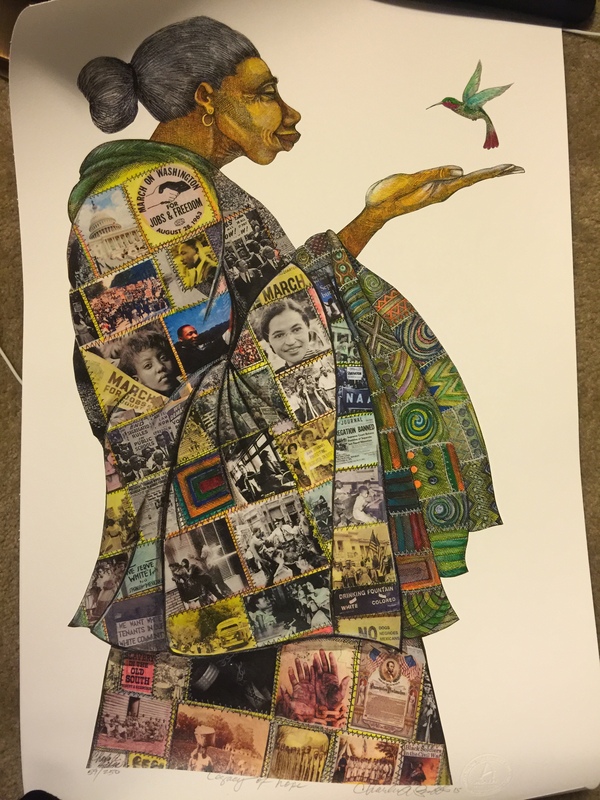 I snapped up Charles Bibbs’s signed “Legacy of Hope” print at ASALH 100. This past year was big for publications. In December, the JAH published The Aftermaths of Lynching, my contribution to a State-of-the-Field forum on Lynching. Michael Pfeifer’s At The Hands of Parties Unknown? provided an excellent survey of the field. Using the story of Dinah Kirkland’s search for her son Edward and then for justice after his lynching, I called for historians to consider the aftermaths of killings and pay closer attention to the families that had to live in a world that allowed their loved ones to be taken in the most horrible of ways. February saw DAME Magazine’s publication of What the Black Lynching Numbers Don’t Reveal, my response to a New York Times article on the Equal Justice Initiative’s report that the number of lynching and racial terror victims was much larger than previously thought. I felt the piece lacked the appreciation for the families behind the numbers and said so. I’m delighted that the EJI’s mission includes telling victims’ family stories. Collecting additional data for my manuscript enabled me to start writing. I hammered out seven and half chapters from March – May before life struck. I stole time to polish about half the chapters but having pumped several worked-related brakes, I hope to complete the entire manuscript by May 2016. In May, I participated in a NYT Room-for-Debate forum on how Americans should remember the post-Civil War period. In Account for the Pillaging of African American Freedom, I wrote about Americans’ need to understand the violence African Americans endured at the hands of white supremacists during Reconstruction. Just as I started recovering from the jet lag from the Stanford trip, news broke that a white supremacist had slaughtered nine African Americans participating in a prayer service in Charleston’s Emanuel AME Church. As I was processing the horror, I got a request write about it for Slate.com. Writing about a tragedy to which I felt connected and on which I had considerable expertise so close to its occurence was a struggle but Centuries of Violence proved to be useful for working through my feelings. The essay was well-received, which made it all worth it. While the killings were still dominating the news cycle Chad Williams tagged me in on a tweet expressing concern about Americans’ seeming inability to understand the histories of hate leading up the shootings, which launched #CharlestonSyllabus. The whirlwind of the hashtag’s popularity was followed by a request to produce a collection of readings to help Americans better understand the long history of racism and racial violence and its relationship to the massacre. 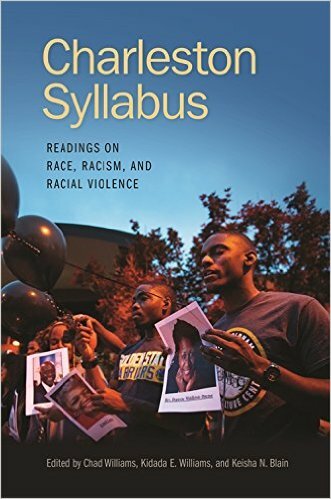 Keisha N. Blain, Chad, and I spent the summer selecting the texts for Charleston Syllabus: Readings on Race, Racism, and Racial Violence. The Charleston Syllabus book, which I co-edited with Keisha Blain and Chad Williams, will be out from the University of Georgia Press in May 2016. In September, “The Wounds That Cried Out” was published in Greg Downs and Kate Masur, eds. The World the Civil War Made. This collection started as an amazing 2013 conference at Penn State’s George and Ann Richards Civil War Center. Meeting and exchanging ideas with scholars whose work I’ve long admired and with some of the fields pioneers was incredibly rewarding. Greg and Kate were thorough and generous editors of my essay, which discusses the importance of considering African Americans’ traumatic suffering from night riding. As the year ends, I’m writing an essay on African Americans after the Civil War for a Reconstruction forum in the Journal of the Civil War Era. If it’s accepted, it will be out in 2017. This fall, I upended my usual course offerings by teaching Black Detroit in History and Memory. The course grew from my frustration about Black Detroit’s poor representation in a DH project on Ethnic Detroit I discovered attending a conference on campus. I was and am sensitive about the omissions of Black folk from the city’s history in this time of upheaval. Working on a campus that’s within walking distance of major depositories and repositories of Black Detroit history, I knew my institution could do better and was determined to do my part. In designing the course, my priority was ensuring the popular masses had access to student research. I couldn’t teach another course that ended with student papers that would sit on a computer drive or in a filing cabinet. Students had to put their work out there for anyone who was curious. As long as students produced web-based projects, they could research almost anything they wanted as long as they could identify sources. I did, however, ban anything that looked like a retread of work already available on Motown and Black Bottom/Paradise Valley. Students could research these topics but they needed to find something new. 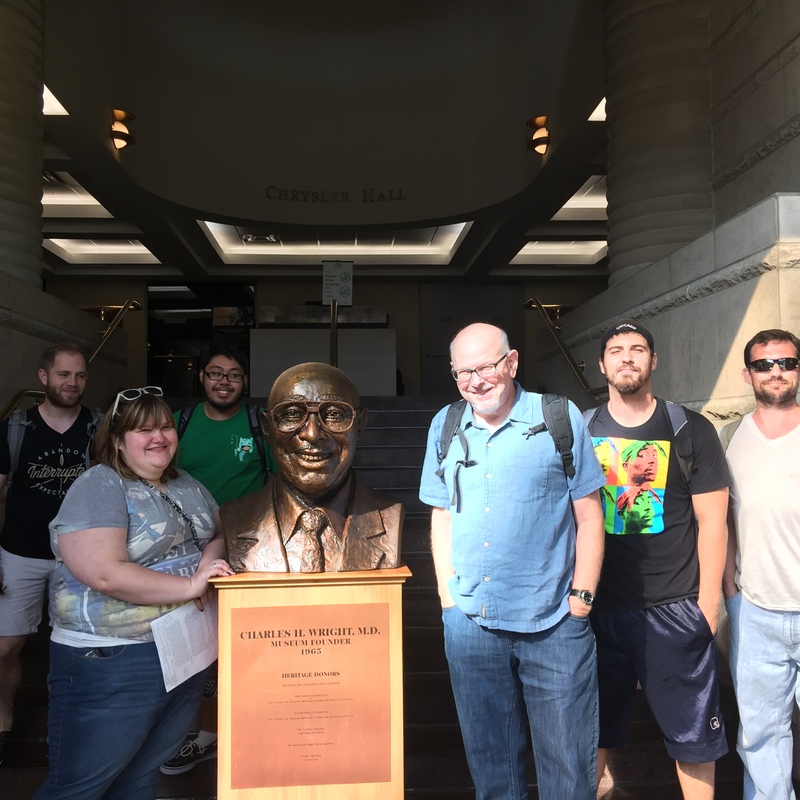 We visited the Detroit Public Library’s Burton Historical Collection, the Wright Museum’s Research Library, and the Walter P. Reuther Library. The archivists and staffs were great–they gave us tours of the sites and identified collections that might be useful. 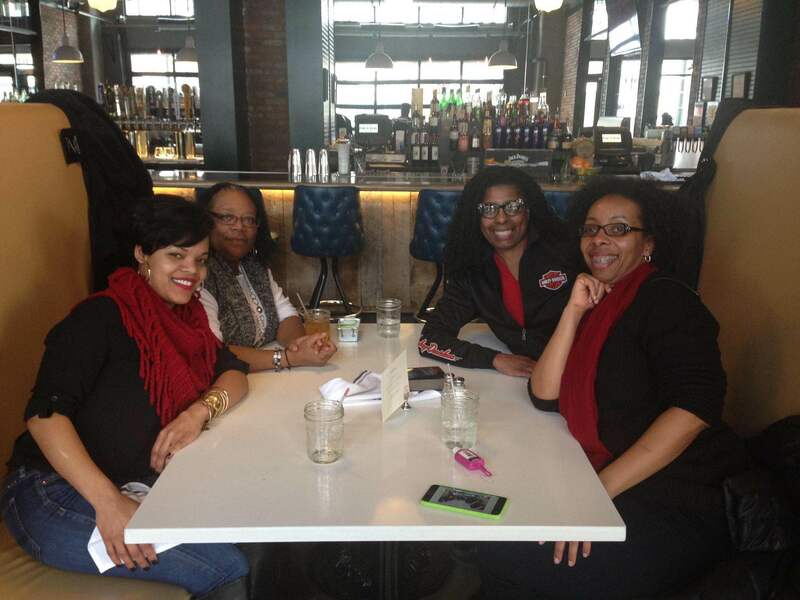 We read and discussed some of the scholarship on Black Detroit as well as contemporary representations of the city, in light of industrial decline and bankruptcy. Then, students took several weeks to conduct their research and present their findings. In response to a student’s request, I created a website for the class. Students’ websites are available here. 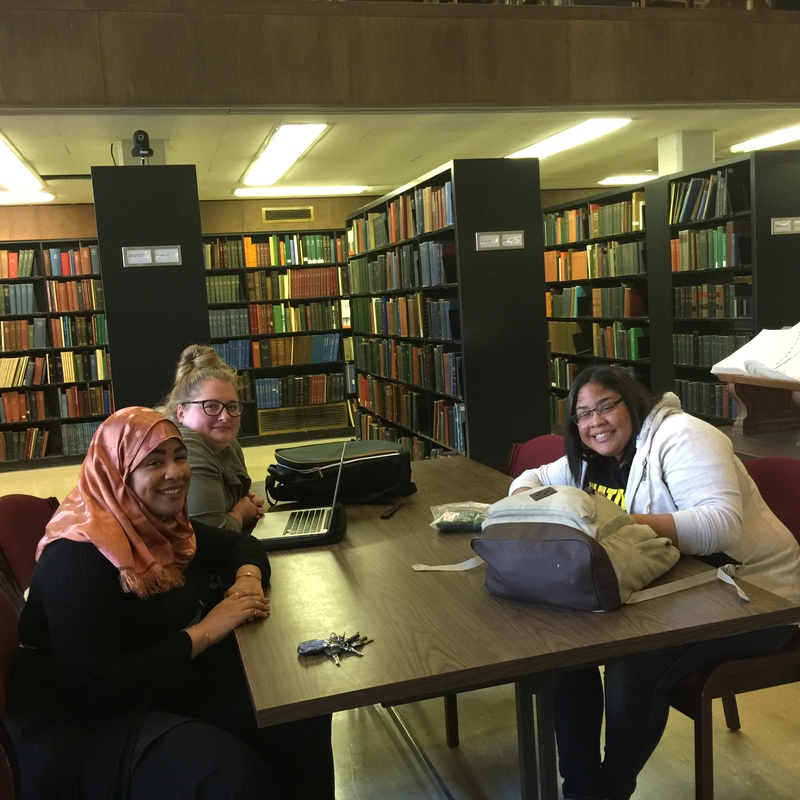 Students from Black Detroit seminar at the Burton Historical Collection in the Detroit Public Library. I was most impressed with their work and look forward to fine-tuning the class projects when I tilt the course towards the 1967 Detroit Rebellion for the fall. The goal is to have students produce projects in time for any events commemorating the Rebellion’s 50th anniversary. The archivists know we’re coming and are very excited. I’m also working with a few colleagues on campus to increase student research on the rebellion. As I look back on the year, I’m deeply appreciative of the many opportunities I’ve had to share my research and connect with so many impressive folks who are doing the darned thing in terms of research and social justice. All I want to do now is finish my book. Really. That’s it. And submit 1-2 articles. Oh and write a few more blog posts and work for general audiences. And play. I definitely need to make more time to play in 2016 and rest. 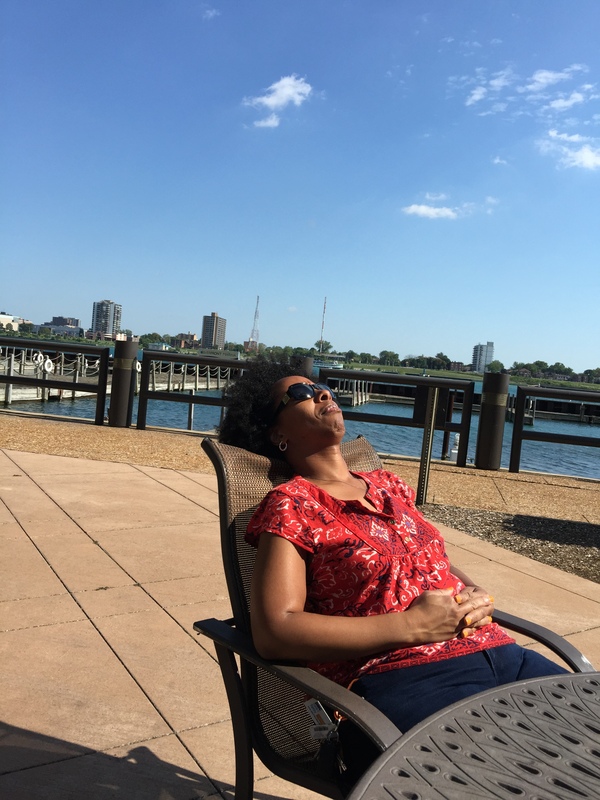 Me on one of the rare days I spent outside this summer, taking a break from work on the Charleston book. My many “Yeses” ate into this year’s play time. I managed to fit in a few performances and concerts (the Detroit Symphony’s Classical Roots, Take 6, Derrick May & the DSO, and The Roots, yall. The Roots! I also cast aside several work days to see Diego Rivera and Frida Khalo and 30 Americans at the DIA. 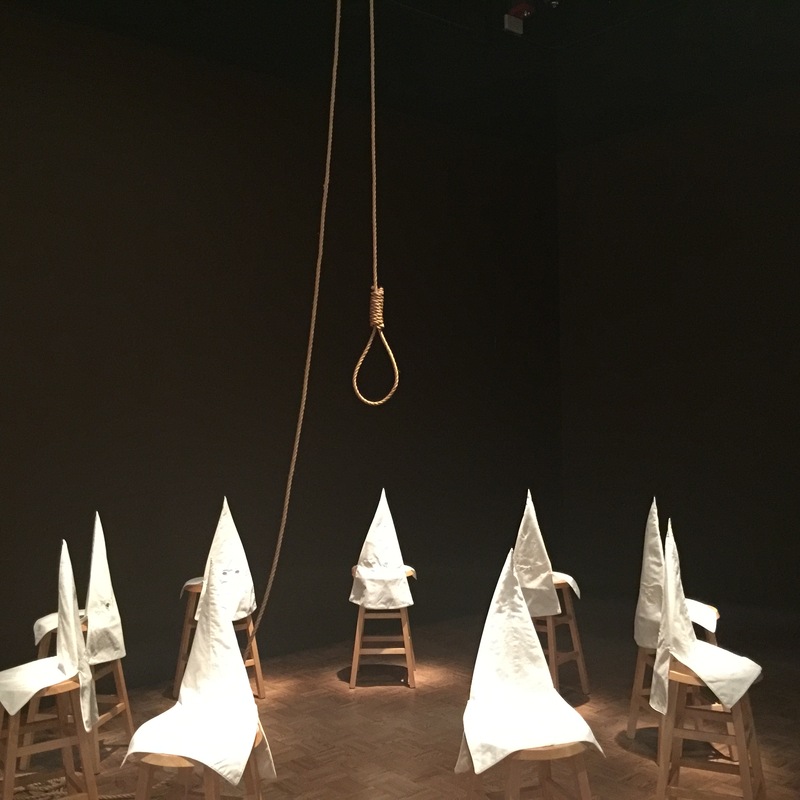 Gary Simmons’s “Duck, Duck, Noose” (1992) at 30 Americans. I made time to stop and appreciate art projects around the city. 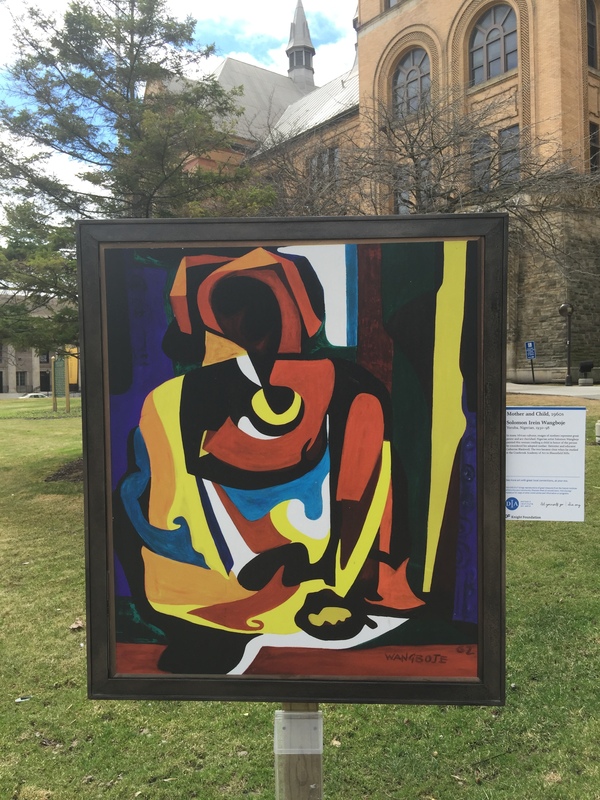 Solomon Irein Wangboje’s “Mother and Child” which was on campus as part of the DIA’s 2015 Inside|Out Program. 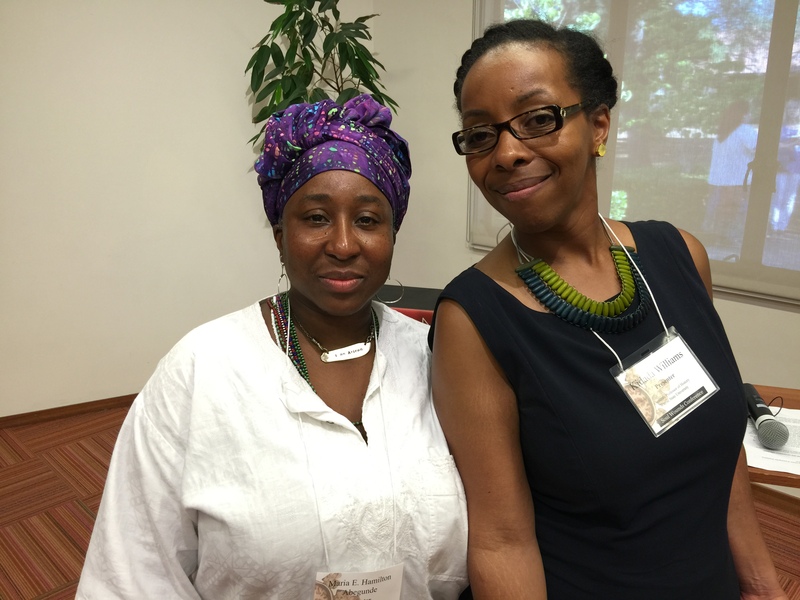 The Soul Sisters, my sista-scholar group, continued to give me life. Me and a third of the Soul Sisters at Punch Bowl Soul in February. We just keep growing. The lawyers haven’t booted me out of the book club yet but they would be justified. My schedule was just crazy! I did read though, just not with them. I completed my 2015 Goodreads Reading Challenge of 70 books. Less than half of the list was fiction, which I’m hoping to address in the year ahead. In all, it was a busy and productive year. I’ve neglected some things, like going to my intellectual home of the University of Michigan to participate in their MLK Symposium in January. The standing-room only event, in which LaKisha Simmons, Andrew Highsmith and I connected our research to contemporary campaigns for racial justice and Black Lives Matter, persuaded the department to relaunch what had been a defunct King holiday program. It’s hard to imagine that a decade ago, I was just completing my PhD and ending my first quarter in Eugene while teaching at the University of Oregon. Time really does fly.